On February 3 I challenged myself to support only small businesses for a week. This challenge is inspired by something that’s been stewing in me for a while. 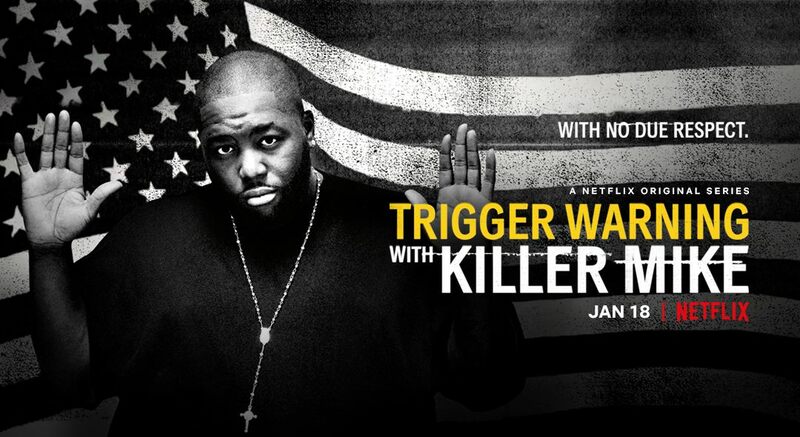 Motivated mostly by the ambitions I see in people my age but also encouraged by the first episode in Netflix’s Trigger Warning with Killer Mike. In episode one, Killer Mike challenged himself to go 3 days supporting only black owned businesses. SPOILER ALERT! He nearly starves himself, sleeps on a bench and walks all over town. It definitely stings knowing black people keep a dollar in the community for only 6 hours. If all black people supported only black-owned businesses, we would be a third-world country..trapped inside a first world country? Not sure how that last comparison works but you understand the point. But how can I blame black people for not supporting business in their community? How many of us, in 2019 actually support our own community? We neglect our farmer’s market’s and opt for an overgrown grocery store. Then complain about the lack of service. We seek out major home decor and furniture stores, many of which are overpriced instead of our smaller antique & furniture stores. It only takes a few bad reviews to ruin a small restaurant whereas popular places with profession public relations professionals can recover from most scandals. Even down to local artists. Why do we wait for artists or businesses to get widespread exposure before giving them the accolades and attention they deserve? In 2018, we’ve made attempt after attempt to “cancel” businesses with no regard for minorities or basic human rights like fair pay or decency. Organizations like the NFL, H&M, and Nike continue to bounce back because their small-time competitors don’t have the popularity, access to cost-saving measure or celebrity endorsements. In economics, we were taught the concept of “economies of scale” which is a term to describe the costs that decrease as a company gets bigger. I think about this every time a cringe higher prices at a local greenhouse compared to the money I would save at Ikea. I can’t say how long I’ll stay on this challenge but I’m invested in the journey. If you would like a fact-based article on the challenges of businesses in 2019 or a listicle on reasons to buy solely from small businesses, comment below!